Thelonious Monk (1917-1982) was one of jazz's greatest and most enigmatic figures. As a composer, pianist, and bandleader, Monk both extended the piano tradition known as Harlem stride and was at the center of modern jazz's creation during the 1940s, setting the stage for the experimentalism of the 1960s and '70s. 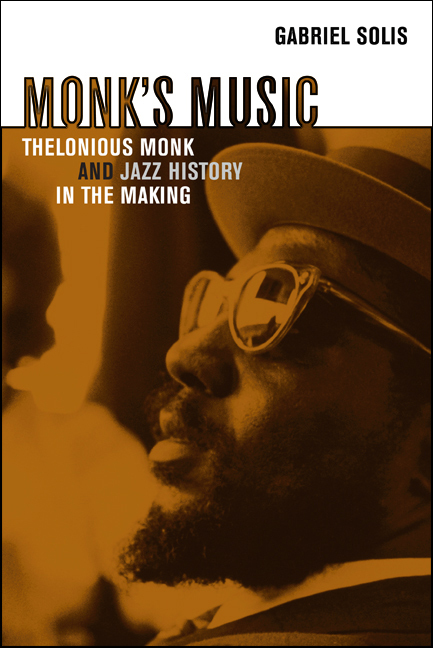 This pathbreaking study combines cultural theory, biography, and musical analysis to shed new light on Monk's music and on the jazz canon itself. Gabriel Solis shows how the work of this stubbornly nonconformist composer emerged from the jazz world's fringes to find a central place in its canon. Solis reaches well beyond the usual life-and-times biography to address larger issues in jazz scholarship—ethnography and the role of memory in history's construction. He considers how Monk's stature has grown, from the narrowly focused wing of the avant-garde in the 1960s and '70s to the present, where he is claimed as an influence by musicians of all kinds. He looks at the ways musical lineages are created in the jazz world and, in the process, addresses the question of how musicians use performance itself to maintain, interpret, and debate the history of the musical tradition we call jazz. Gabriel Solis is Assistant Professor of Music at the University of Illinois, Urbana-Champaign.